I’m a big fan of classic British whodunits, my favourite authors being Dorothy L. Sayers, Ngaio Marsh, Josephine Tey and PD James. Sayers is my very favourite classic crime author. She’s justly famous for her Lord Peter Wimsey stories, but I also love the short stories the somewhat verbose Lord doesn’t feature in. 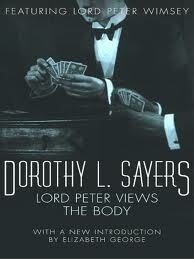 Sayers wasn’t just a classic queen of crime. She also wrote religious plays and translated Dante’s Divine Comedy. I enjoyed listening to the Man Born to be King (the life of Jesus), even if, in truth, it does sound a little dated these days. Ngaio Marsh strikes me as a happy compromise between Sayers who is, in my view, the better writer, but can be a bit self-consciously literary, and Agatha Christie with her rather two-dimensional characters. I especially love her theatre based stories like Opening night, Vintage Murder and Night at the Vulcan. Other favourites are When in Rome, Dead water and Off with his head. But I was a bit disappointed when I read her autobiography Blackbeech and Honeydew: theatre was clearly her true love, and she hardly mentions the Alleyn mysteries in the whole book! There was more about them in Her life in crime, a biography by Joanne Drayton. My favourite Agatha Christies are N or M?, Man in the Brown Suit and Parker Pyne Investigates. I’m sorry she didn’t write more Parker Pyne books, I really like this character. Agatha Christie is often praised for her plots, but her characters are usually seen as lacking depth. That’s as may be, but the books are hugely enjoyable anyway. Josephine Tey must have been a bit weird, but I do love her books, all of them (there aren’t that many). The one about Richard III is probably my least favourite, too much technical history for me! But I could (and do) read Miss Pym Disposes, The Franchise Affair, Brat Farrar, The Singing Sands again and again. PD James has never disappointed to date. Nice to see the British queen of crime tradition taken up in such capable hands. I love some of the later ones, like the Murder Room or Death in Holy Orders. Another great way to enjoy lots of these books is to listen to them. Frankly, I find ironing pretty unbearable without my iPod or BBC iPlayer. The BBC does excellent productions of all of the above authors (and many others of course) and I’m addicted to them. I say hooray to BBC Radio 4 extra, where there is always some classic crime to listen to.